The following transcript is the interrogation of David Heath formerly of Matrix Games and now main man at Lock ‘n Load Publishing. Hello, all! I've managed through a covert operation to kidnap another mover and shaker within the wargames industry. 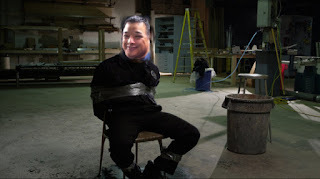 After a two-minute torture session involving gaffer tape, a chair and a feather duster, David Heath of Lock ‘n Load Publishing finally succumbed and agreed to answer any questions our devious interrogator could come up with. The transcript of said interrogation is below. Interrogators questions (Bob "You can't say that" Me "Oh yeah right"). Interviewer questions in black typeface and interviewee answers in red. OK first and foremost please introduce yourself, and not just name rank and serial number! In fact, why haven't you just been saying your name, rank, and serial number? Oh and stop saying there was no need for all this..we’re not going to fall for that old trick, we’re not stupid you know! Tell me who you are, your age, your favorite music, your favorite band, your favorite color (no idea why I'm asking that but go with it), favorite food and your favorite game of all time. Finally, are you married or single and are there any little ones around? Well, ok my name is David Heath, I am 51, and music tastes are all over the place, from Rock, Punk Rock, Big Band and Classical. Some of my favourite artists are The Cars, Stray Cats, The Police, MxPx, Post Modern Jukebox and Thousand Foot Krutch. I do enjoy some classic bands like The Clash, the Beatles, and the artist Carman. Two of my favorite board game designers are Mark Herman and Erik Lee Smith. I pretty much enjoy any games designed by these guys. Some of my favorite designs ,that I highly recommend, are Across the Five Aprils and Churchill. My favorite board game is by John Prados titled Rise and Decline of the Third Reich. On the digital side, three of my top designers are Gary Grigsby, Norm Kroger and John Tiller. I can’t think of any digital game I would call my favourite, but I do still enjoy Steel Panthers World At War. I’ve been married to a wonderful woman for 24 years named Ava Marie. We have three boys Andrew 19, Nicholas 17 and Shane 12. I also have what I call my extended kids, Austin 18, Noah 14 and Jesse 9 from my sister family. All of the boys are gamers from consoles, computers to table top games we do them all. My family throughout my life have always supported my gaming habits which makes me a doubly blessed. Oh, and I almost forgot my favorite color is blue. Good, good, that's more like it. I see you're now willing to co-operate. OK, Bob, you can put the nose tickler away! So, David, I'd like to start at the beginning. What did you want to be when a little David? My Dad was always watching historical shows and movies, and it gave me a love for all things history. In the 5th grade, I found my first wargame at my local Toys R Us by Avalon Hill and the love affair has never ended. I always wanted to design, develop and publish games and I've been so blessed by God and my family to be able to follow my dreams. So how did you follow your dreams, what was your first job and at what point did you become involved in the gaming business? First thing I decided was to learn as much as I could about the process and the game industry. My High School had an internship program and I was told if I could find a company willing to take me on I could do it, since they didn’t have any companies for game design, imagine that. 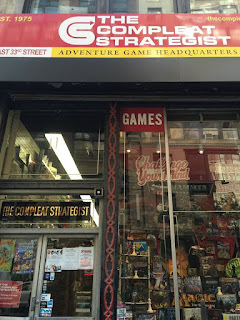 I called Victory Games in New York City and had a few talks with Mark Herman and he agreed to give it a try. I am so grateful to both Mark Herman, Erik Lee Smith and everyone else at Victory Games for giving me a chance. Those guys took a lot of their personal time showing me how they do things and why. Trust me it was the best thing I got out of High School after my wife. The mid 80’s was a good time for me NYC, after work on Friday it was time to go hang out in midtown before going off to the Village for some dinner. 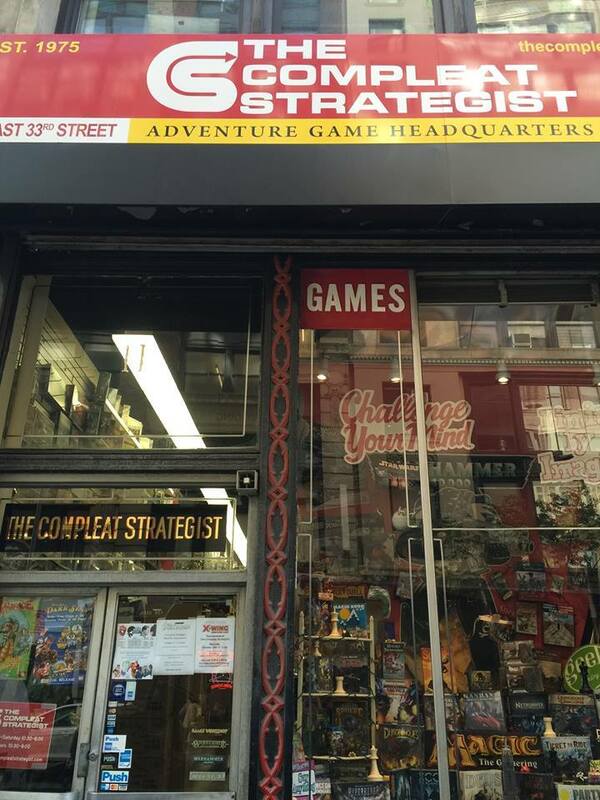 The Complete Strategist in New York City was the wargame hangout. Daniel, the store owner, always took the time to greet everyone and review of the latest games and to talk shop. I learned about what stores needed and why. We would talk for hours, and I enjoyed every minute of it. What was the first game\project you worked on? How did the game do and was the experience enjoyable? Hmmm, that would be the Ambush series and Pacific War for Victory Games. I got to help with the map for Pacific War, which was some of the best times I had at Victory Games. The guys at Victory Games never treated me as a stupid kid. They made sure to put me down as a playtester on the Ambush modules I worked on. Both games are considered classics these days. I also did some playtesting for SSI and made friends with a lot of the people there. My first computer project with myself at the helm was after I started The Gamers Network, an online review site. I wanted to do more and I loved Steel Panthers and had made friends with Joel Billings from SSI. After many talks I finally convinced Joel to allow my group to have the source code to do a fan base edition of Steel Panthers Series. I think he might have just been tired of the debate (grin). Both winSPWW2 edition from Shrapnel games and Steel Panthers World At War by Matrix Games came out of from my talks with Joel and Gary. This was a significant achievement back then and was never allowed normally. Neither edition of Steel Panthers would exist today if it was not for Joel and Gary taking a chance and agreeing to this. Michael Wood was the lead programmer with Bill Wilder and his Raiders working on the scenario designs. As a team, we worked very hard trying out new ideas and finally released Steel Panthers World At War. What we figured would be a blip on the gaming world took off and was a huge success for us and would become the starting point for Matrix Games. I was told it would never happen; then that nothing would come of it. Lesson learned from that is to pray hard and keep your eye on the prize. Most of us first heard your name with regards to Matrix Games. If my sources are right, you started Matrix Games back in Staten Island, New York in 1999. Can you tell us what made you want to start up a game company devoted to wargames and how did the process go in getting it up off the ground and running as a viable business? At the time I started Matrix Games I had already owned a few business but that work was never as heart felt as when I was doing gaming stuff. My goal at the time was to work Monday through Thursday, play games Thursday night until late and then be off on Friday to recover. It never worked that way, but it helped me decide that I wanted to do something in the game field. Everyone had told me it wouldn't make money and to not waste my time. I started with the Gamers Network reporting on anything to do with board or computer wargames and enjoyed that. When we started doing Steel Panthers: World At War I felt one of the advantages we had was that we were already working as a tight team. Looking back at your time at Matrix Games which game are you most proud of and which was the most successful? I am very proud of all the products we put out and the people I worked with. Uncommon Valor was one of my favorites since it was the first time I got to work with Gary Grigsby and Joel Billings on a new product. Most people never get to meet their heroes; I got to do that and work with them. Also which game would you rather forget about? Oh, that is an easy one, Fortress Europa. I can still here Erik Rutins laughing at me for years about that game. It was a mess, and it was all my fault. To this day I still get taunted about it, luckily there are not many copies out there, if any to be found. What it did teach me was everything you produce is important and not to be taken for granted. That means the manual, player aids, menus and even the inside of a box. The first two big lessons I learned here was to never stop reviewing the game during the development process and keep trying to find ways to make it better, and that does not always mean cheaper. The third colossal one was never let anyone pressure you to release something you are not happy with. Something I think some designers and publishers can use today. David, your companies’ philosophy always seems to be to create a family atmosphere and a close-knit community, do you feel you were successful in achieving this? Was this important to you? This has always been my philosophy; The staff that work well together, play together and have fun and not always be just work. Sometimes you just need a break. I have closed the office to catch a movie, a surprise food break, etc. The team knows I want to hear their views on any given subject, and I do consider what is being said to me. I once had a guy tell me “I must make all final design decisions” I said “No way”. I know I'm not the smartest person in the room. I’m just someone who made some mistakes and hope I’ve learned from them. Once any decision is made and jobs are allocated I then expect total commitment and their best effort no matter what. From the customer end, it’s simple; I want the customers to be able to get in touch with our designers and staff. I personally never trust a company that doesn’t have a forum to engage its customers. I try to answer our customers questions, and I do enjoy chatting with them. Half the fun of gaming is talking to people and that should not change if you are a publisher. If you could go back is there anything you’d do differently? Look there is a lot of things I would love to have a redo on but that is not life. I try to roll with the punches and move forward. So I do not over think the past. I figure out what could have been done better and then make sure I do that next time. What were your high points and if any your low points during your tenure of Matrix Games? I enjoyed it all from the start to the end. Some things more than others but overall good times. I love putting deals together and making what I was told would never happen, happen. Why did you feel the time was right to sell to Slitherine Games? We had published about 80+ games, and I felt I had gone as far as I could take the company. I was simply burned out at the time, and I need challenges and goals to work towards to drive me. I figured the deal with them would help me get to the next level. It never worked that way. I didn’t know it then but I was starting to get sick, and being a typical man I suppose it took some time before I went to see a doctor and that of course ended up with me needing surgery. It was supposed to be a simple ,quick check up but they found two tumors growing inside me. The good news is I'm now fully recovered, I lost over 140 pounds and now I just need to pay more attention to my health. After the sale, it was announced you'd still be around, however at some point you disappeared. What happened? After the sale was completed, I had a hard time finding a place to fit in. This is not to blame the new owners, as I am sure I was not in the best of places personally. The new owner had their business style and ideas, and I had mine, and the two didn’t match. I was there for about two years; during that time my Dad past, and we were very close. My Dad attended the conventions with us, and we always had a great time. One of my best memories is of my Dad, Bill Wilder, Bill Trotter and Larry Bond simply talking about life over a cup of coffee. Another time we went to GenCon, and we were all getting ready for the hall to open, and GenCon some of the costumes people wear are a little wilder than at other conventions. I tried to warn my Dad and he looks at me and says “David I’ve seen it all before”, within five minutes a girl dressed in a gothic outfit walks up with her boyfriend (I assume it was a boyfriend) on all fours in a leather spike outfit on a leash. My Dad just stared at them and then at all of us and said “I was wrong, very wrong.” We all broke out laughing, and the couple started explaining what game their outfits was for. So with my Dad passing the spark kind of went out of me for a bit. During the time I ran Matrix we hardly had any staff turnover, but by this point only two or so of the original team was left, so the company I called mine was not there anymore. I felt it was pretty much time to go. So I did, and that was that door closed and I then took a break. After that, I started started working with an old friend who ran Just Adventure. I was helping developers and getting involved in products very much like before and it was refreshing. I was allowed to run my area of the company, and I just enjoyed the freedom and the challenge working there. I still collaborate with the guys there when needed. You're now the owner of Lock ‘n Load Publishing. How did this come about and what was it about Lock ‘n Load Publishing that appealed to you? Mark Walker the original owner of Lock n’ Load called me and simply said he was looking for someone to buy the company and asked if I was interested. At first said “No thank you”, but a buddy of mine thought it would be a good idea, and I was feeling the need to get back in the game. So after some more talks a deal was worked out. What did you do first once taking over Lock ‘n Load Publishing? There was a lot, and it took me a while to get a handle on all the products and then for me to work out what needed to be done, and more importantly how. Once I started figuring out the details I soon realised there were quite a few issues, some minor, some not. One of the main issues was getting the product lines back to the market. I decided that the best way to correct a lot of issues was to print as much as possible in-house. This gives us a lot of freedom, but it took a while to work out those details. This caused Mark and I to bump heads as we both have very different styles of handling things and the end result was Mark starting a new company called Flying Pig Games. At this time Mark has released one new box game and another one is on the way. What has been your hardest thing you needed to overcome? The games themselves have been the best and at the same time the worst thing to overcome. At this point, I feel Lock ‘n Load Publishing is doing the best it ever has, and the community seems to agree. We know there are still more things we need to improve and we will. The games and the systems themselves are in the best shape ever, the rules, maps and counters have all been improved where needed. Our new editions having been selling out in record time. Let me take a moment to do a shameless plug of my team because without them none of this would have been possible; Jeff Lewis now leads the Lock ‘n Load Tactical Series, Sean Druelinger the Nations At War Series, Matt Lohse, and Keith Tracton the World At War 85 Series. In-house helping me keep it all together on the graphic end is Marc von Martial, Blackwell Hird, and David Julien. Darren White and Jason Church are covering our flanks handling our Production, Shipping, and Customer Support. There are many others like Ralph Ferrari, Jim Zabek, designers, programmers, etc. The bottom line is it's all about the people you surround yourself with and with a great team you can do just about anything. We have improved the quality of our game line and the gamers overall experience. What do you consider to be some of the best changes you made at Lock ‘n Load Publishing? I guess taking any confusion out of the company name, game series titles, new domain name and a major one is simply making the games available again. The other big one was the need for expansions, to need other expansions. You should never need something such as extra counters, maps, player aid cards etc., to play a standalone or what we call a core/base game. In an expansion you will of course need a core/base game but not another expansion and especially not one from another historical era. To help clear this issue up in Lock ‘n Load Tactical we made it easy, if you see the word “Hero” in a title of a Lock ‘n Load Tactical game you know it is a complete game and requires nothing else. I think it’s very frustrating for customers to buy a modern era expansion that not only requires a modern core/base game which is understandable, but then to also require the customer to purchase a World War II era core/base game just so you can use the maps to play the expansion this is just too much. By us making things consolidated where possible it gives the customer confidence in what they are purchasing and what they can expect in a game from us. What do you consider to be some of the bigger changes you made for the customers since you took over? Of course the games, but outside of that, I would say the new pre-order/backorder system with our new customer loyalty program. Our new pre-order system will allow you to place pre-orders with no need for a credit card or payment upfront. No Risk or Outlay of money. When the pre-order is ready for shipment, you will be sent an email with a link to click on and pay for your pre-order. You will then have ten days to do this, and if during the interval you decide not purchase the product then you don't need to do anything. The order will automatically be cancelled, and you may order the game at any time at the current price. We use to have a reward point system, you had to know how many award points you needed for a game, limited to what products you could use them on and you needed to remember to use them at checkout. Our new Loyalty system is simple and does all the work for you. Our new Loyalty system keeps tracks of your purchase history and applies you with a discount at checkout; that is applied to all of your purchases including pre-orders. This discount is visible right at checkout, and you never need to do anything. As you purchase more games over time, your discount will increase over time giving you an even larger discounts. Your discount is made based on your purchases over time and NOT the amount currently in your cart. One of the things gamers hate is throwing down money on a game with no idea if they like it. When I was at Matrix Games we were always being asked to provide a demo. Wargames are not first person shooters so making a demo is a lot harder, and a major time drain for the programmer. Most wargames need some type of printed rules. The last thing is, we are setting up services to provide much better rates for our customers in Europe and Canada. Expect to hear more on that soon. 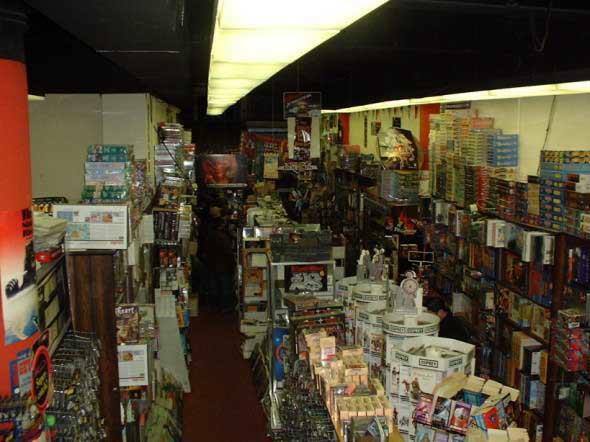 Lock ‘n Load Publishing is most famous for its board games, where Matrix Games was mainly digital wargames. So will the board game side still have a big role in the future of Lock ‘n Load Publishing or will digital wargames become Lock ‘n Load Publishing's bread and butter? When I was doing computer games one of the biggest issues we had was not all programmers are game designers. So many of the games could have been better or they took a lot longer than they should have to complete. Having a long list of proven game designs and systems takes that problem away. Just about every digital game we release will have a Windows and MAC edition followed by iPad and iPhone where possible. Our idea is to provide a totally FREE core edition of our digital games. So anyone can download the whole complete game and start playing. Our core game will normally come with one a two easy battles/scenarios to allow a gamer to see if he likes it and make sure it works on his system. If the customer is pleased with it he may purchase the games Battle Packs that will provide more battles/scenarios. This also helps with updates as every engine update will automatically update any older content. 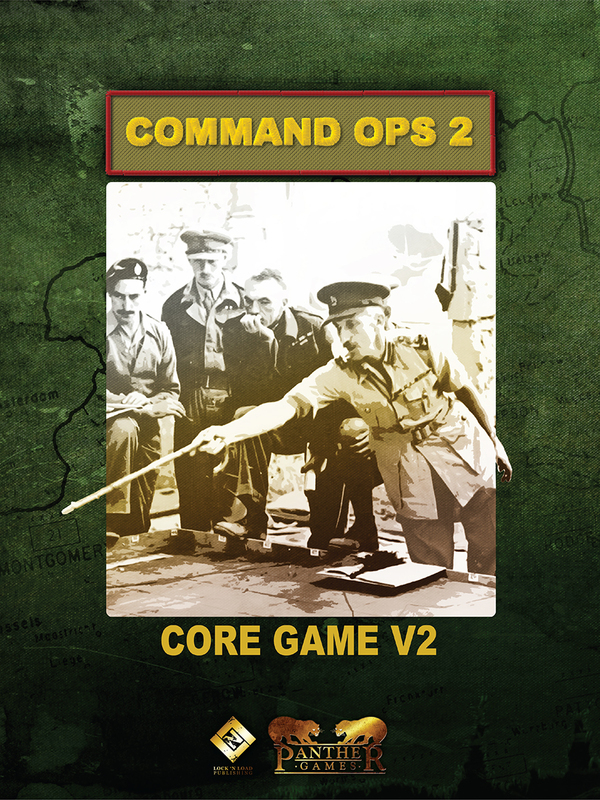 We currently have available Panther Games Command Ops 2, so if you’re not sure it is for you, simple, download it and find out. Line of Fire Magazine issues seemed to have stop. When is the next issue coming out? The quick answer, it is not. We had a lot of customers not wanting to buy a magazine just for a few scenarios for the one or two games they liked. We have decided to stop releasing any new issues of the magazine for the foreseeable future. Our customer want more content for the games they already have from us. So we will be releasing more Compendium magazines for our different game series. We are taking the games that have been released in back issues of Line of Fire and re-releasing them as stand-alone products. The next two Compendium will be for Lock ‘n Load Tactical. The first one will cover scenarios and articles for Lock ‘n Load Tactical: World War II and the second one for the Modern Era. They should have all the previous released Lock ‘n Load Tactical scenarios with a few surprises. Gamers can be quite a vocal lot. Wargamers I reckon are probably one of the hardest to please. Grognards want different things to the casual gamer, then they all have their favourite scale, then you have the traditionalists and then those who are happy to see new mechanics, all with something to say and usually not shy in voicing their opinions. What’s your experience been like dealing with what can be a difficult section of gamers especially difficult to please? Does this make developing\designing wargames tougher than a different genre of game? There are always a few that you can't please and those I don’t worry about too much. Overall the gamers are a great and understanding lot. I never liked using email for a customer support, emails get lost or missed. Our forums and support desk really help us 90% of the time with keeping up with our customers. We also go around the internet keeping are customers informed and answering questions where ever we have a presence like BGG, CSW, Facebook, Twitter, and Google. One of the things I personally do is pick a recently placed order and call that customer and see how he felt his service was. I don’t mind upset customers because if they are spending money and something is wrong they have the right to say so and that is why we have a support ticket system and the forums. There is no hiding, when we make a mistake we take our lumps, but this goes both ways and we have customers who post how happy they are, leave us nice support tickets saying thank you etc. As for designing/developing games I would say it makes no difference. The designers are important but if you want a great game it really requires a good developer. What advice can you give to those who are thinking about getting into the game business as a publisher? If you've got the bug to publish the likelihood is you have already started. If you’ve got a question just ask someone at a publishing company or even a local print shop. I get calls and emails from college students to gamers asking questions all the time. I don’t mind answering a few questions from time to time so feel free to email me. What advice can you give to those wanting to work in the game business in any other position? Go to a company (LnLP is always looking) and start off with a few scenarios, or playtesting. Then try your hand at maybe building an expansion for a game. What job within the business would you say is the one most needed so easier to get a job in? What would skills you say are must haves for those with ambitions to get into the game business? Each companies needs are different but one part of a game that can be a gateway into the industry are the graphics. To me the Graphic Artist is the most needed but not necessarily the easiest job to get in with, and that is the short simple answer. Not all artists can do all things, but once a publisher can make a connection it’s a good starting point. What is the most important thing you feel our hobby needs? Bring in more gamers PERIOD, and I am not talking about more Magic players. There is nothing wrong with Magic but it is not growing our hobby at all. We need more clubs, gaming groups and leaders to help teach someone what this hobby is all about. The first gaming club I found was through the General magazine whilst I was in High School and I am still friends with many of those guys. We need starter wargames to teach what a ZOC is and other basic wargaming terms. There are a lot of good games for this, Jim Werbaneth’s Rommel At Gazala, Peter Bogdasarian’s Tank On Tank Series and there are a lot of other games from other publishers. We need more games that keep us engaged, here is an example of what I am getting at. I went to play Churchill and I could not get pass the rulebook. I am sure it was me, to tired or simply just not connecting the dots. The game is just such a great design it was like nothing I had played before. I was so lost that I had to have a friend come by to teach me. I got the pizza and he taught me the game. I loved the game and it seemed so much easier than the rulebook made it look. This game would never have been played if I had needed to figure it out by myself. I teach at a school on computer software and I convinced the school to allow me to teach the software class while giving them a real project. The project is teaching these kids how to design, develop and produce a game. This fall I will kick this off, I have no idea how it will go but I am excited. This past February I was reminded how important these retail stores are to our hobby. My son Shane and I went to Jeff Newell’s convention called Game On in Seattle, it is a small convention but one of the most enjoyable ones I attend. One of the exhibitors was a game store called Around the Table which is based in Seattle. One of the owners is Nick Coelho who I had never met before yet soon we were chatting away and I stated that I would like to learn two games at his booth. Nick went and got his own copies of these two games and came back and spent the evening teaching my son and I how to play and then went on to play the games with us. Not wanting to make a choice I had to buy both games. If I ever open a Lock ‘n Load game store, I promise this will be done at my store if it ever comes to be. What are your dreams for Lock ‘n Load Publishing? What any publisher wants, gamers to enjoy the games we publish. Finally, I want NUTS! and it's expansions Clash of Titans and Stalingrad by two-hour wargames to be converted to the PC. We won't get the nose tickler out if you now commit to this? Hey, Ed and I were just talking about making a LnLP edition of NUTS it may be closer then you think. Bob, what's that noise? Sirens? Oh sh…Bob run..run..David thank you for your time, just cut yourself out of the chair with these..oh you got out of there quick… Ok please don’t say anything…ouch, yes I deserved that..ooooh..and that…ow..that to….. This was a great interview! I am so glad that David is doing so well. It is also great to hear that Mark Walker is developing new games with Flying Pigs. Two great companies I will continue to support! I loved this interview. Being a novice wargamer it is very hard to get clearity on how to get into war boardgaming. Most people in the know are very helpful, but their whole speak is in acronyms-very hard to stay with 'em. I know this interview didn't clear anything like that for me , but it was very nice to read about someone in the industry and how they care about us newbies. You've given me an idea about doing a list of acronyms for newbies. SO hopefully you will see published soon..ish:)Pleased you enjoyed it. More on the way!